The face behind Boston Children’s fundraising events, the Boston Children’s Hospital Trust was created in 1997 as the philanthropic resources of the hospital. They work with individuals, foundations and corporations to advance the hospital’s patient care and community health initiatives. 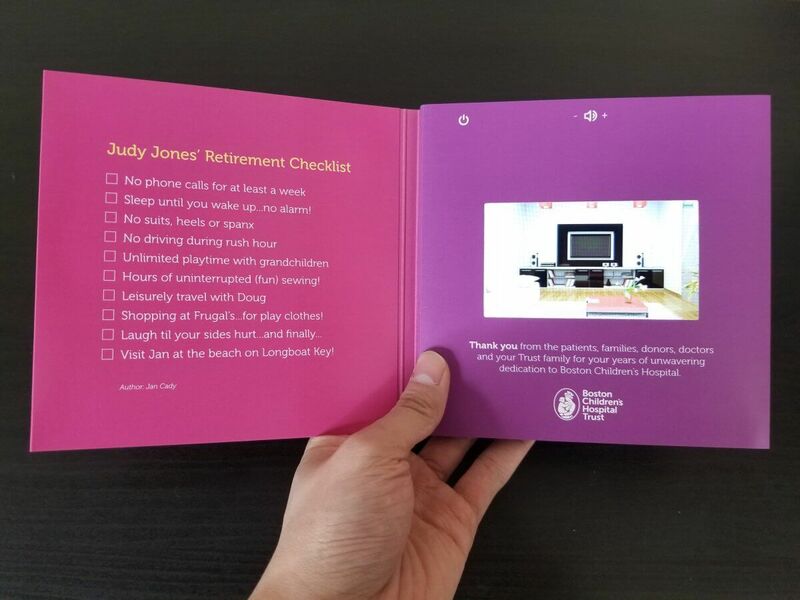 Boston Children’s Hospital Trust celebrates the retirement of Judy Jones using bigDAWGS’ Personalized Video Greeting Card. A thank you video card from all the patients, donors, doctors and the Trust family for her years of service.